Lahore: Following the conclusion of Ramazan campaign, Albayrak Waste Management has kick-started its Eid operations. Grand cleanup operations have been started in and around Jamia mosques, Eid Gahs and graveyards. Prior to Eid, zero waste operation would be conducted to provide clean and litter free surroundings to the citizens on Eid day. Mechanical sweeping in morning shifts whereas mechanical washing in night shifts would be carried out during Eid days. Sanitary workers would be deployed on choking points due to expected rainfall on Eid. 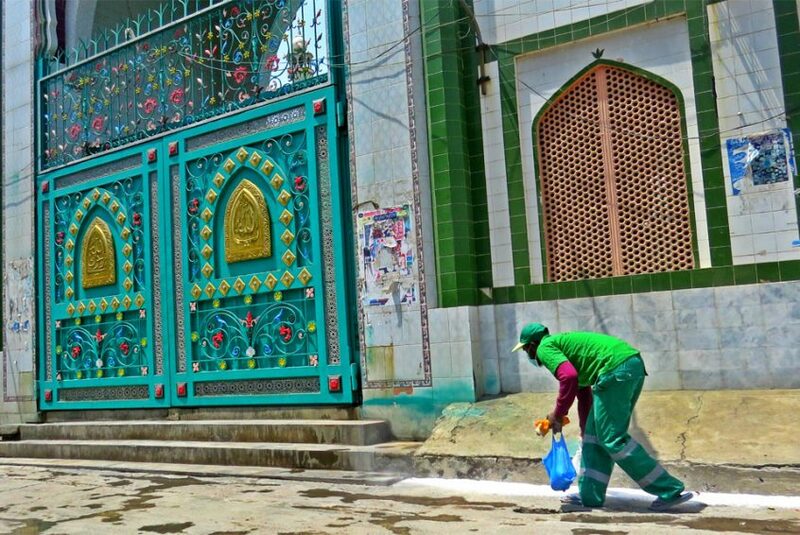 Prior to Eid prayer, the sanitary staff would sprinkle lime in the surroundings of Jamia mosques and Eid Gahs. The workers would be deployed in parks and other recreational places also to ensure proper waste management. Complaint redressal system would remain active during all three days of Eid. New uniforms and additional resources have already been provided in the field. Albayrak operational staff would be on duty in head office as well as in the field to monitor the cleanup operations.